Here is a compact, overachiever that will perform brilliantly everywhere on your vehicle. A versatile combination of Class I warning, flood/alley and ground illumination lighting all accomplished with three planes of light and remarkable "HDO™" (High Definition Optics) technology! Ideal for intersection lighting whether mounted on the push bumper, grille or under the mirror. Pack a punch with attention-demanding performance that can be installed at a lower level on any vehicle. 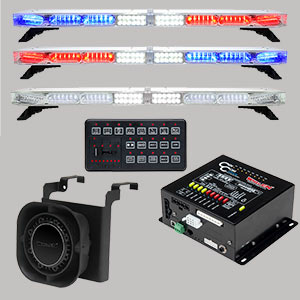 V-Series increases the safety level when multiple lightbars are in use at a busy accident scene. Three-in-one combination light for warning, flood/alley and ground illumination in one remarkably compact surface mount lighthead. 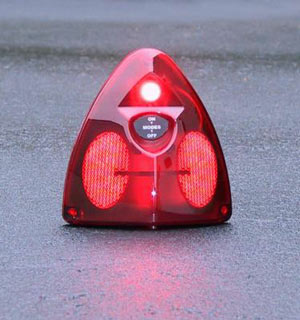 180° wide-angle warning light for Class I SAE 845 requirements. 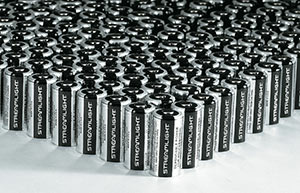 Standard models include surface mount flange in Chrome or Black. 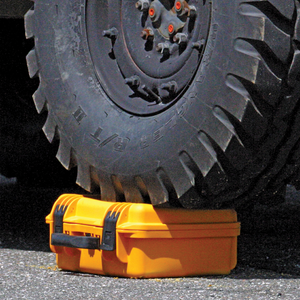 Options include an angled flange mount for mounting on a curved body panel of any vehicle and a pedestal mount for increased mounting adaptability. Hard-coated lenses with HDO technology for unmatched high intensity warning. 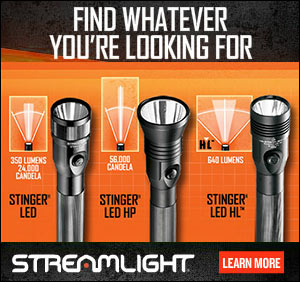 Scan-Lock™ flash patterns for the warning segment of this lighthead. Steady-burn White for alley/flood lighting plus White ground illumination. Dimensions: 2-11/16"(68mm) H x 4-1/4"(109mm)W x 1-1/2"(38mm) D.